XL (1" - 1-1/2" & Chunky) - 1pc. Tumbled Tree Agate (India) - We are pleased to offer these Tumbled Tree Agate from India. 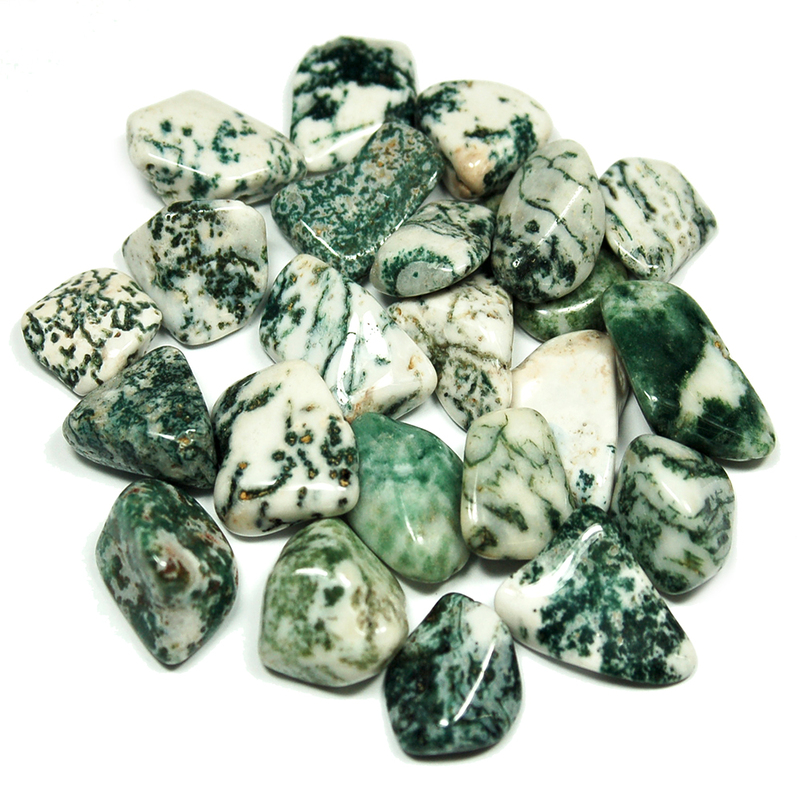 This white stone with green dendritic inclusions is a cousin to Moss Agate. 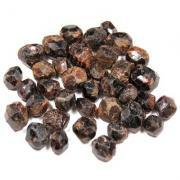 Tumbled Tree Agate is perfect to use in any healing session or in meditation. 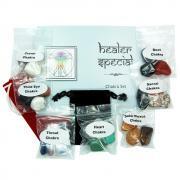 The shape makes them convenient to put on a person during a session and they are a nice size which will fit into your pocket or crystal pouch. Considered to be a Talisman in some parts of India, Tree Agate is a stone of inner peace. Gentle Tree Agate calms nerves and can be combined with Clear Quartz to deepen meditation and prayer. 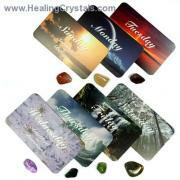 Tree Agate can assist those who need to recognize the importance and influence of cycles in one's life. Tree Agate brings our focus to the oneness of us all, dissolving egoism and arrogance. 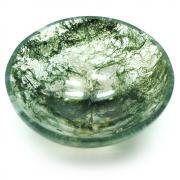 Use Tree Agate to ease relationship problems with children. These Tree Agate tumbled stones have a slow and gentle action that works deliberately to connect one to a more natural state. Tree Agate is deeply connected to nature and can help bring one into contact with devas and other nature spirits when used during meditation. Physically, Tree Agate can help with neuralgia. A highly supportive stone, Tree Agate boosts the immune system and is said to regulate the balance of water in the body. Affirmation: I am connected to the natural cycles of life. Question: Do you enjoy spending time in nature?